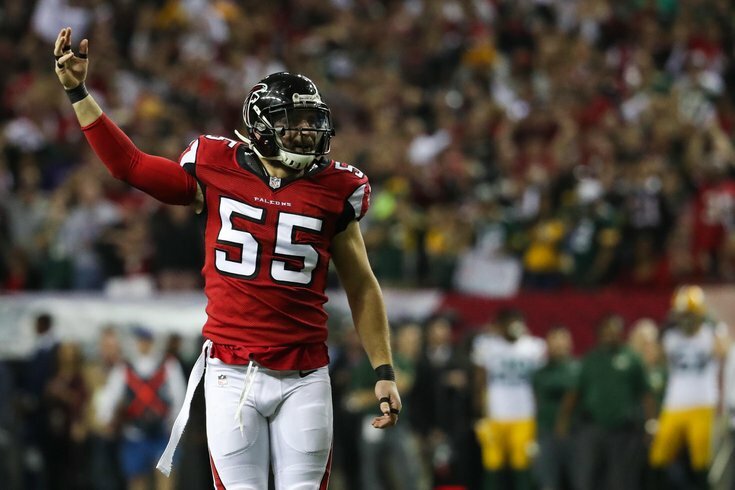 According to Mike Garafolo of NFL Network, the Philadelphia Eagles are signing former Falcons and Lions linebacker Paul Worrilow, a player they reportedly showed interest in signing a year ago. Eagles are signing LB Paul Worrilow, source says. Headed to Philly after a year with the Lions. Former Delaware Blue Hen comes home ... sorta. Worrilow was a starter for the Falcons his first three seasons in the NFL from 2013 to 2015, playing in 47 games. During that span, he racked up 364 tackles. In 2016, however, Worrilow had a smaller role with the emergence of then rookie linebackers Deion Jones and De'Vondre Campbell. Worrilow played in 12 games in 2016, starting just one, and managing just 21 tackles. In 2017, he signed with the Lions, playing in 13 games and starting eight. He had 30 tackles. As we noted earlier this week, a trade of Mychal Kendricks feels likely. Stay tuned. UPDATE: The Eagles have made the Worrilow signing official.